Editor’s Note: The following post was written by longtime personal trainer and fitness writer Meghan Callaway. Enjoy! Locking a few fundamentals in place — which I describe here — will boost your ability to perform any and every type of pull-up and chin-up variation. 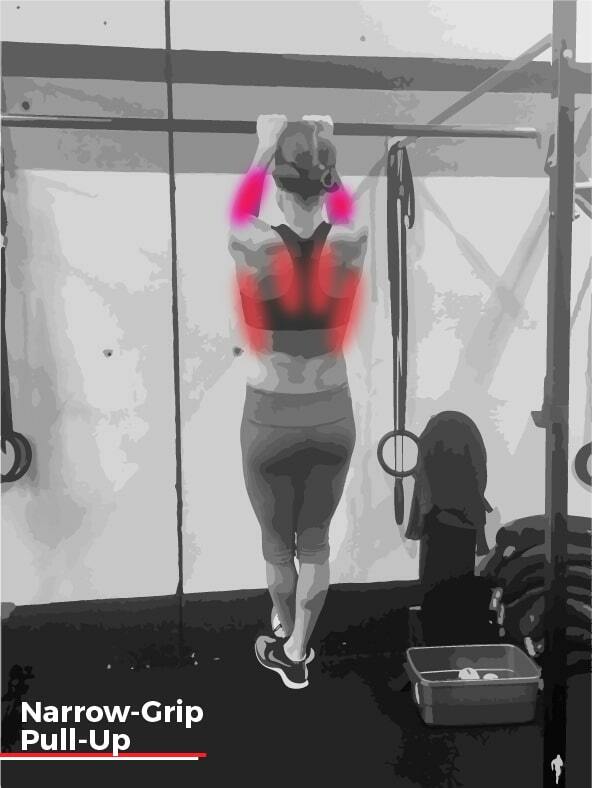 Body positioning, control, and appropriate levels of tension apply across the board, and there’s tremendous overlap in muscles used: the lats, traps, and biceps are always involved. That said, varying your hand position and grip width will recruit more of this or less of that muscle group, and you can leverage that information to hit certain areas harder in accordance with your own personal fitness goals. In a standard pull-up, your hands are slightly greater than shoulder-width apart, palms facing away from you (called a pronated position). If you’re performing any version of the pull-up or chin-up well, you will also be using the muscles in your anterior (front) core, obliques, lower back, glutes, and your entire. Even your pecs (the muscles in your chest) will be involved. In this pull-up variation, your hands should be roughly shoulder-width apart, palms facing each other. 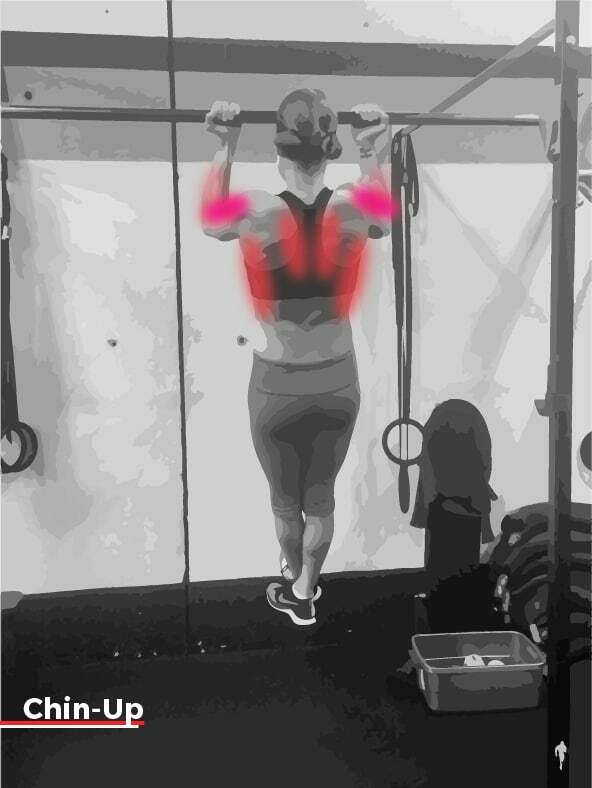 In this advanced pull-up variation, your hands should be much greater than shoulder-width apart, palms facing away from you (pronated). Due to the wider hand placement, this pull-up variations recruits more lats than standard pull-ups. In this pull-up variation, your hands should be close together (possibly even touching), palms facing away from you (pronated). This exercise uses a lot of forearms — much more than standard pull-ups. 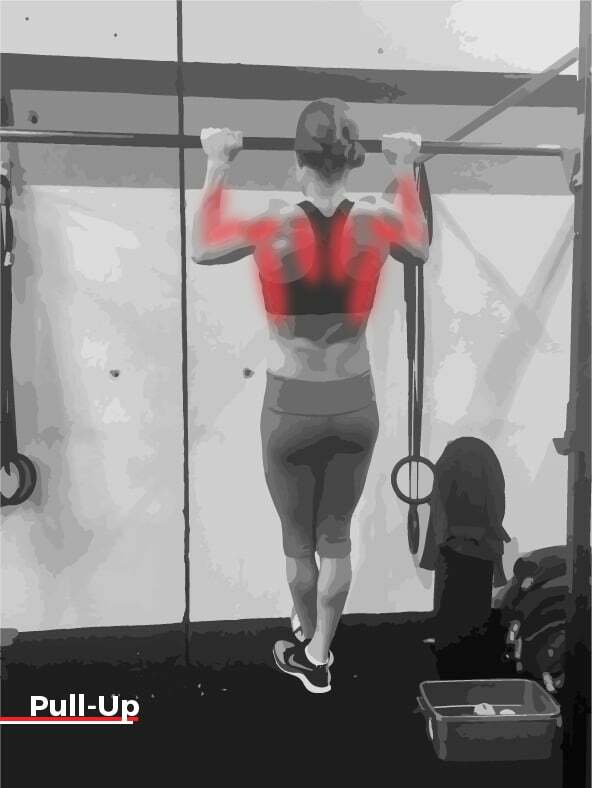 In a standard chin-up, your hands should be approximately shoulder-width apart (or slightly wider), palms facing toward you (this is called a supinated position). While many people believe that chin-ups involve less lat recruitment than the pull-up, this is incorrect, but chin-ups do recruit more biceps and pec major muscles than pull-up variations. 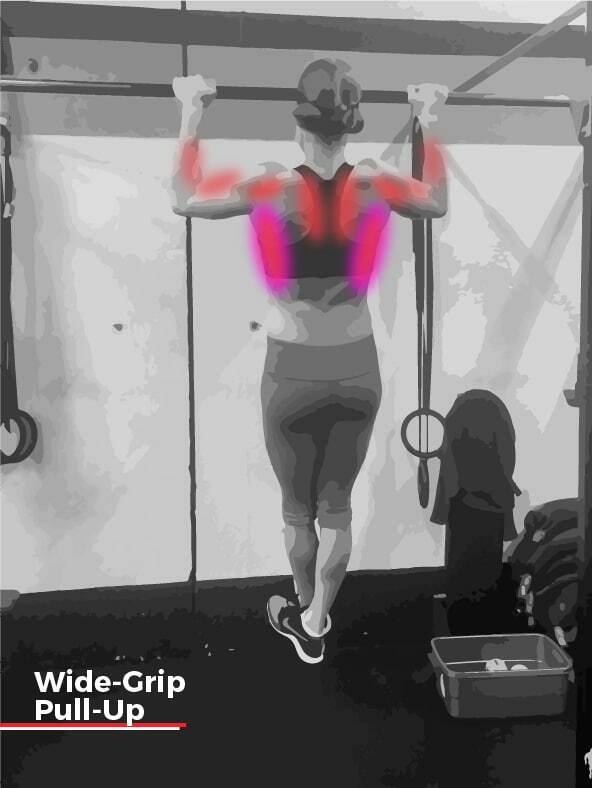 As with the narrow-grip pull-up, in this chin-up variation, your hands should be close together, possibly even touching, palms facing you (supinated). This exercise involves more biceps than standard chin-ups. In order to improve your performance in any of these movement variations, specificity is imperative. To get better at one of them, practice that variation and those similar to it consistently. 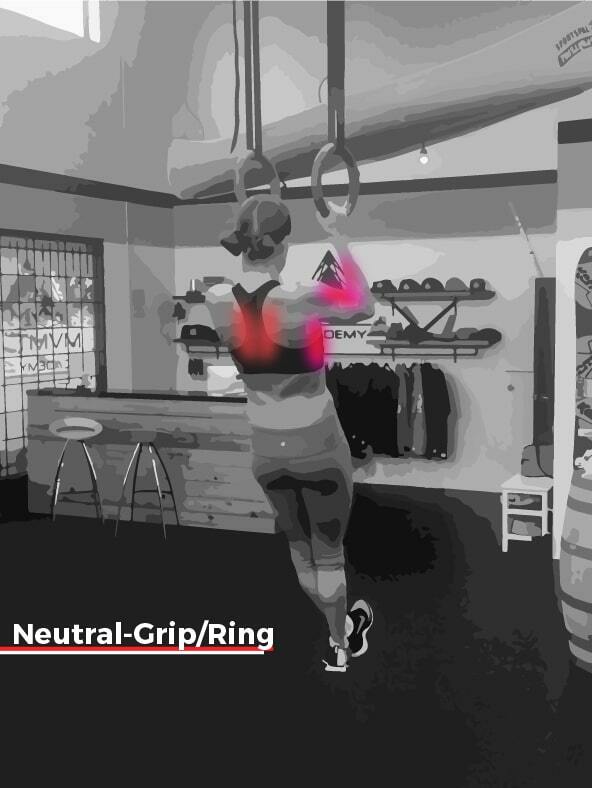 If you are not yet able to perform the unassisted version of these exercises, you can perform modified variations of the movements using a TRX or other suspension trainer, a set of rings, or a fixed bar. Keep honing your technique and make it your mission to master the key fundamentals I describe here, and the sky is the limit. Everyone starts somewhere, and you are no different. Meghan Callaway has been a strength coach in North Vancouver for nearly 15 years, and in this time, she has coached clients ranging from elite athletes to those seeking rehabilitative strength training post-injury to people simply looking to feel healthier and more confident. 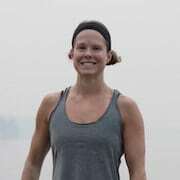 A lifelong athlete, Meghan writes on an array of fitness topics on her website and offers one-on-one coaching and small-group training in person. Ready to pull it all together? 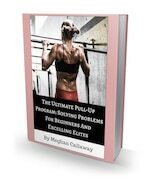 If so, Callaway’s comprehensive 166-page Ultimate Pull-Up Program helps beginners solve problems that are holding them back from being able to perform their first pull-up and helps more advanced exercisers vastly improve form, increase number of reps, and train more more difficult variations. Each phase of the program includes exercises that improve technique, upper-body strength, muscle tone, stability and mobility, glute strength, core strength, and even lower-body strength. 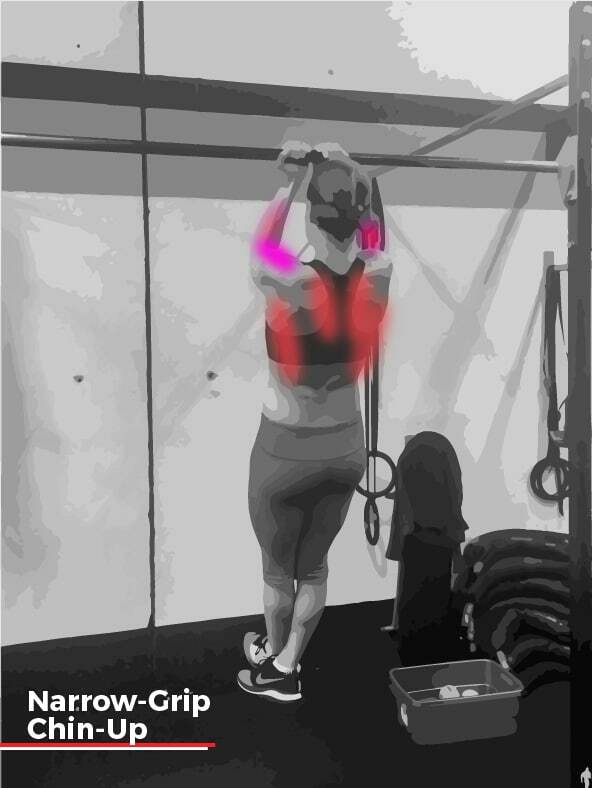 Every exercise includes detailed written descriptions and video demonstrations so that no matter where you are in your pull-up journey, you have the information you need to excel. Learn more about The Ultimate Pull-Up Program. As someone who started their fitness journey later in life and accomplishing the pull-up, I can definitely appreciate and admire the absolute strength, especially of your core, in starting your pull-ups from dead weight and slowly raising then lowering yourself in such a controlled manner. Absolute flawless form. Not what I usually see of people mainly using momentum. My hats off to you! I am bookmarking this page for inspiration and motivation. Now THAT is a beautiful pull-up. Well done, Meghan! Pull ups are the one exercise my clients struggle with the most. You have mentioned some great tips in this article to help them improve their pull ups/chin ups. I look forward to trying these out in the gym over the next couple of weeks. Hi Clare! We’re so glad to hear these variations were helpful. Have you had a chance to try any of them out with yourself or your clients yet? We’d love to hear how it’s gone!